Click to upload new photo. Your order 20013489151 is shippedPlease get more details from your this link. You got an answer for your request ticket #401322You can read reply through this link. Have a gift card? Click here to redeem it. Each 100 Reward points can be redeemed for $1.00. Each $0.75 spent will earn 1 Reward points. 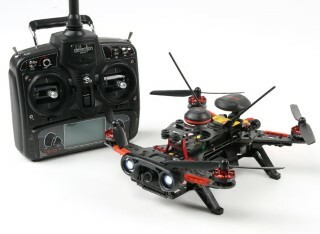 Walkera Runner 250R RTF GPS FPV Racing Quadcop..
Is this compatible whit Turnigy 9x radio?